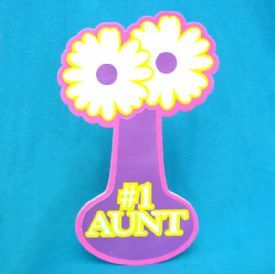 and "#1 AUNT" printed on it. These signs are all the same. Each one comes in a cellophane bag.